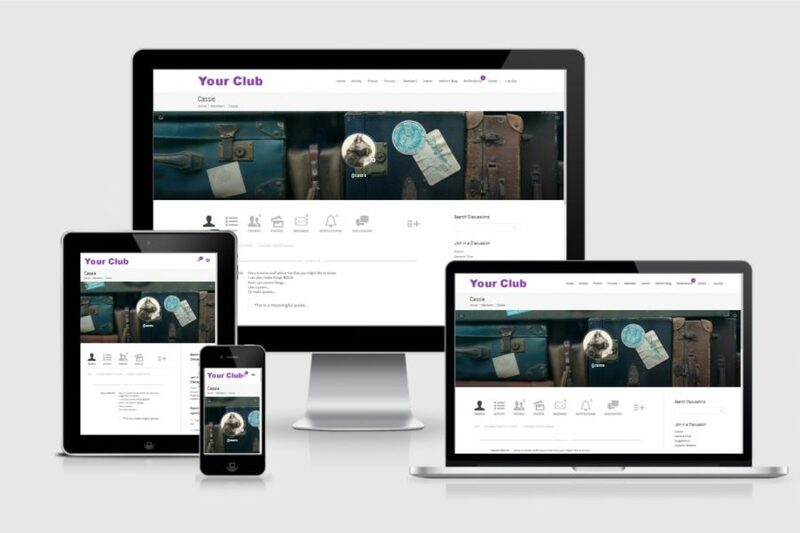 Do you run a club or business that could benefit from its own social network? Think Facebook but with greater control, more privacy and the ability to add other features such as membership payments, event listings (and bookings), user photo albums etc. Clean, minimal and design for a Berlin-based artist illustrator who wanted a professional looking website of her own where she could showcase her art, include a more detailed bio, provide contact information and links to her various social media accounts etc. (Not surprisingly!) a leisure-wear company specialising in a wide range of t-shirts, sweatshirts, outdoor and sports wear for adults and children. 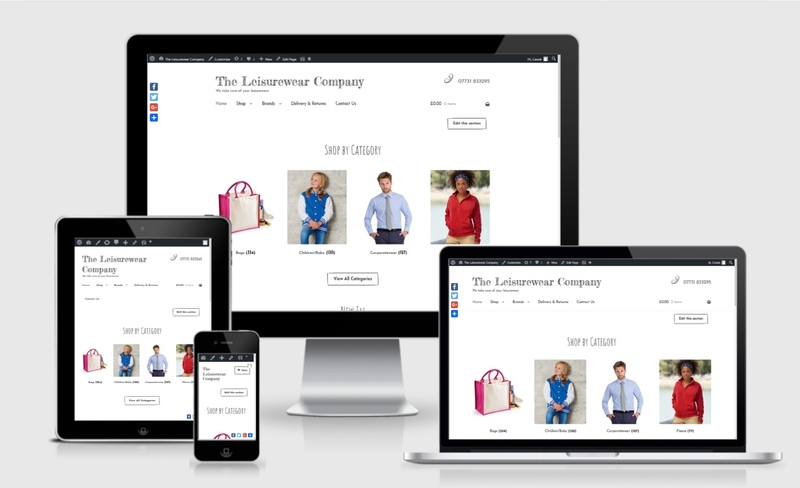 As a start-up company, The Leisurewear Company (TLC) not only needed a brand new website to help them stand out from the crowd but also needed assistance in importing product information (images, descriptions and prices) from their wholesaler and setting up of their shop to enable them to sell their products quickly and easily online. A quick survey showed that many websites selling similar products were quite “busy” ie. lots of clashing colours, adverts and special offers which tended to distract from the items actually on sale. We therefore took the decision to keep the design of the TLC site as clean and simple as possible, allowing the images of the clothes to stand out and also making it easier for visitors to find those items of interest to them. The addition of “hand-drawn” style lettering and icons added a little extra character, helped to prevent the site looking too minimal and also added a friendly, casual feel in keeping with the nature of the business. With the outline design agreed upon, the next step was to manipulate the data provided by the wholesaler to put it into a format suitable for use on the site. With some 2,000 different products & 40,000 different variations ie. colours, sizes etc. and each with different product images, colour swatches and prices, this was quite a challenge but was undoubtedly time, money and effort well-spent as it saved having to pay someone to input all the data manually and once complete, the site was pretty much finalised and ready to launch. Some additional development work added the option to automate ordering direct from the suppliers – thereby saving still more time and money on a daily basis. This was probably one of the largest online shops I’ve developed in WordPress and although I was ready to switch to another platform if it proved unsuitable, both I and the client were pleasantly surprised at how well, with just a few additional tweaks along the way, Woocommerce and WordPress have been able to handle things. Feeling inspired with ideas for your business? Need your own online shop, WordPress or Woocommerce site? Why not contact me and let’s chat. 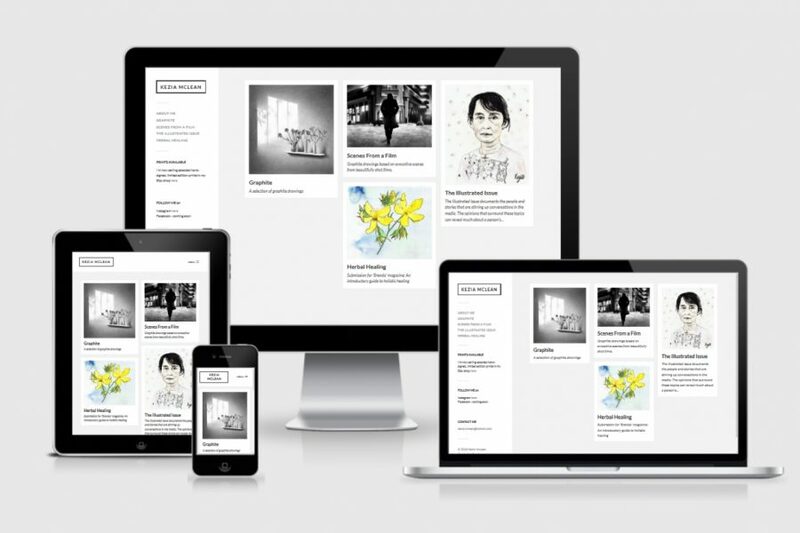 Re-design and updating of an existing website for Brighton art gallery, Bailey Contemporary Arts – including an online shop and a sophisticated search feature to allow visitors to filter products shown by artist, colour, media etc. 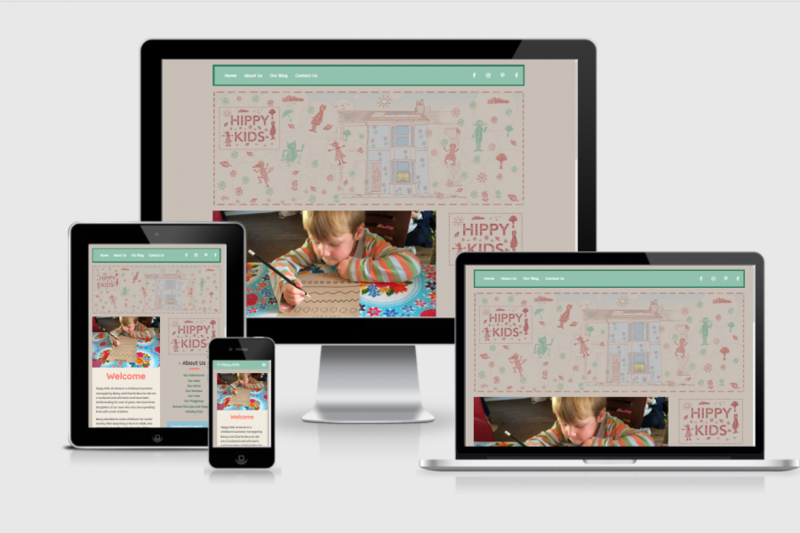 New website for Brighton-based child-minding and playgroup business featuring an easy-to-update blog and a playful, colourful theme throughout. Mesh Chhibber and Sofie C. Guerrero launched Maison Peau de Chagrin in 2015, influenced by Honor de Balzac’s novel bearing the same name. Inspired by master craftsmen and their use of traditional techniques, Sofie and Mesh travel across Europe to seek out artisans to create timeless, limited edition pieces. Rather than focus on fast fashion, Peau de Chagrin takes the opposite approach. Under Sofie’s creative vision, the emphasis is put on the enduring quality of objects, made by craftsmen and intended to last generations. Although the client already had a fairly simple pre-launch website, this needed to be extended to showcase their more recent products as well as adding more detailed information about their range, their production methods and the ethos of the company itself. Given their emphasis on high quality and outstanding design, it wasn’t surprising that the client was keen that their website should also reflect the same aesthetic values whilst also ensuring that it was quick to load and easy to use. Whilst most of the websites I design are based around the WordPress platform, in this case the client specifically requested that SquareSpace should be used as the platform with which they were already more familiar. With SquareSpace being slightly less flexible when it comes to customisation (especially as detailed as was required in this case), this did present a few challenges but none that were insurmountable and actually left me with a new-found respect for an option which (I have to admit) I’d previously tended to overlook. As an artist and inspiration behind the Peau de Chagrin range, Sofie had a clear vision of how the website should look and it was a pleasure to collaborate with her in order to make that a reality online. Together we came up with a beautiful, minimal design which puts the emphasis on the design and quality of their range and allows the images to speak for themselves. 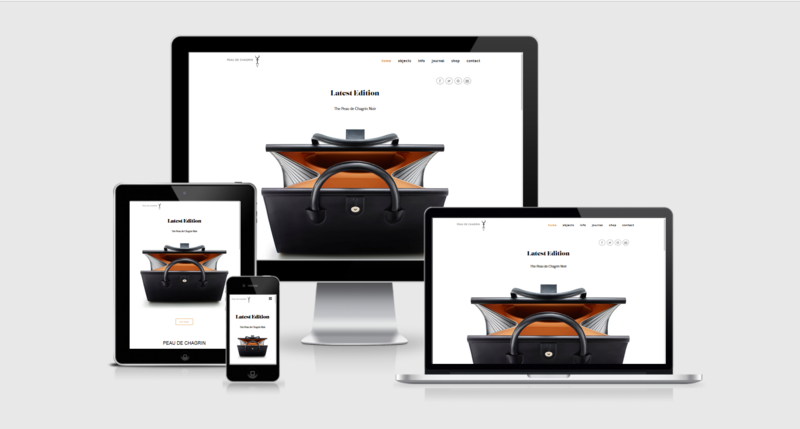 Unlike many websites, each page was individually designed (almost hand-crafted in itself) to suit the product being featured, whilst also taking care to maintain the overall luxurious yet minimal look of the Peau de Chagrin brand. Feeling inspired with ideas for your business? Why not contact me and let’s chat. 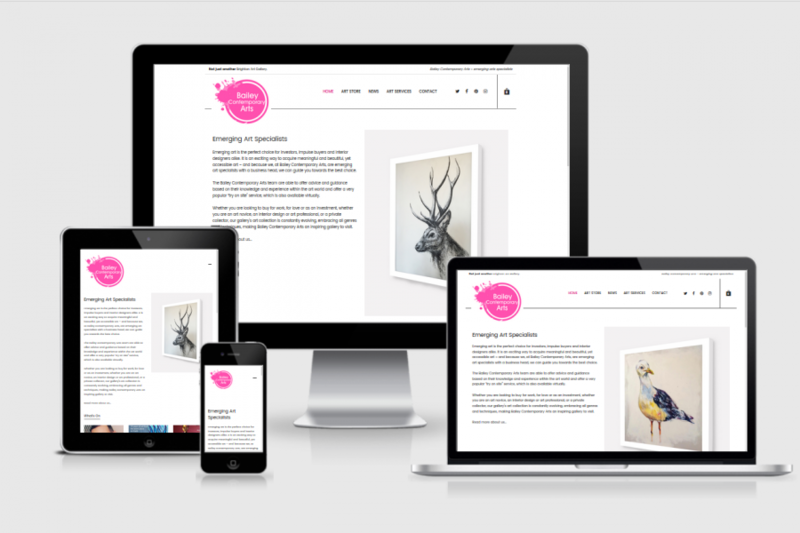 We are delighted to be working with Cassie on our online shop Peau de Chagrin. She is versatile, precise and concise. Working remotely, her feed back or responses are quick and have helped to guide us in making the right choices along the way. She is resourceful and will always find ways to accommodate design expectations and explain the technical problems she foresees in order to find solutions that wonâ€™t impair aesthetics, an aspect which is very important to us.